SAGE Stats includes over thirty years of data from more than 200 sources. It features more than 13,000 unique data measures. Below are the collections currently available as combined or separate entities within SAGE Stats. Data from more than 100 different public and private sources and backed by a rich collection of more than 3,000 current and historical data series on popular research topics. Comparable data from U.S. counties, cities, and metropolitan statistical areas across a broad variety of topics applicable to the social sciences. Users can explore data by topic year or geographic location with a single search and visualize their findings with charts, graphs, and table comparisons. A destination for researchers of all levels to find highly detailed, geographically oriented statistics to inform business research at the state, county, metro area, and ZIP code levels. Business Stats is ideal for anyone creating business plans and carrying out a wide variety of market assessments. SAGE Stats has been built to make complicated data easy to explore and discover. It’s the best place to start your research on location-based statistics. The ProQuest Statistical Abstract of the United States is the authoritative and comprehensive summary of statistics on the social, political and economic conditions of the United States. Learn more using this resource in our guide. This thoroughly revised electronic edition reflects thirty years of new data and scholarship. Topics ranging from migration and health to crime and the Confederate States of America are each placed in historical context by a recognized expert in the field. Every year, Population Reference Bureau (PRB) provides the latest demographic data for the world, global regions, and more than 200 countries and territories. 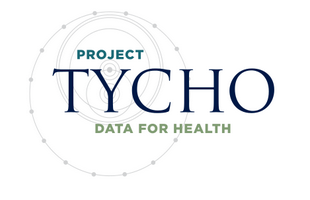 Project Tycho® is a project at the University of Pittsburgh to advance the availability and use of public health data for science and policy making. Currently, the Project Tycho® database includes data from all weekly notifiable disease reports for the United States dating back to 1888. These data are freely available to anybody interested. Additional U.S. and international data will be released twice yearly. Data USA puts public US Government data in your hands. Instead of searching through multiple data sources that are often incomplete and difficult to access, you can simply point to Data USA to answer your questions. Data USA provides an open, easy-to-use platform that turns data into knowledge.